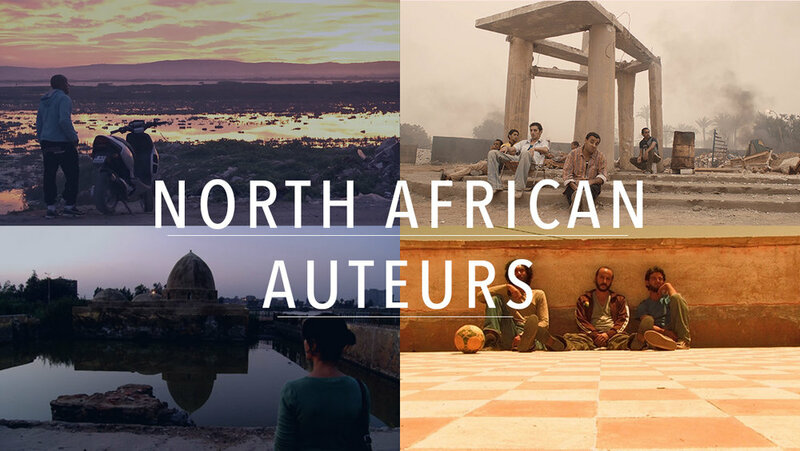 During the month of December, Filmatique presents four films from Northern Africa, a diverse region of the world with rich historical and cultural traditions. The collection includes first and second films by exciting new voices from Egypt, Morocco and Tunisia. Mohcine Besri's debut feature The Miscreants scrutinizes Morocco's secular and fanatical ideologies during a failed kidnapping. Nadine Khan's debut feature Chaos, Disorder chronicles daily life on the outskirts of Cairo via the story of a young Egyptian woman with no agency to choose whom she will marry, while the young female protagonist in Hala Lofty's debut feature Coming Forth By Day is subsumed by the daily duties of caring for her stroke-afflicted father, finding respite in her rare and aimless peregrinations through Cairo's lonely streets. Through various interviews and a farcical-documentary lens, Tunisian filmmaker Kaouther Ben Hania's Challat of Tunis examines the urban legend of man who rode around on a scooter slashing women he deemed to be dressed in an unrespectable manner— a wry portrait of a young democracy ostensibly progressive in its treatment of women. Featuring three films by female directors and two debut features, Filmatique's North African Auteurs Series captures the psychology of a region haunted by the hidden scars of war, terrorism, uprising and revolution, whose emerging filmmakers nonetheless endeavor to battle for truth, transparency, and a collective vision for the future. A group of actors drive along a country road en route to a performance when their car is flagged down by three young men who appear to be in trouble. These men, however, are terrorist and soon kidnap the actors to an isolated farmhouse to await further instructions from their leader. But when the sheikh fails to appear, the barriers between these groups of men— liberal and righteous, artistic and holy— begin to erode. Mohcine Besri's feature film debut examines the fault lines between secular and Islamist factions of Moroccan society, intent on revealing commonalities rather than pushing conflict. The Miscreants premiered at Karlovy Vary, Abu Dhabi, Göteborg, São Paulo and Cairo, where it won Best Arab Film. Manal is the lovely young daughter of a grocer in an isolated, run-down Cairo neighborhood town bordering a garbage dump. Both Zaki and Mounir want to marry her. Instead of letting Manal choose the boys challenge each other to a soccer match in which the winner will gain her hand in marriage. Meanwhile, daily life is punctuated by the arrival of a delivery truck— one day, gas; the next day, water— which serves as the community's only connection to the outside world. Egyptian filmmaker Nadine Khan's debut feature film explores the psychology of the country's youth in the aftermath of the revolution, in which hope has given way to a society on edge. Chaos, Disorder premiered at Muscat, where it won Best Director; Oran, where it won Best Film; and Dubai where it won the Special Jury Prize. Soad is a young unmarried Egyptian woman who lives with her mother and father in Cairo. Her father has been left largely incapacitated by a stroke, their airless, timeless apartment sealed off from the rest of the world. Soad dutifully cares for her father while her mother, back home after working the graveyard shift as a nurse, sleeps. Granted a rare moment of freedom, Soad leaves the apartment to wander the quiet, empty streets of Cairo until dawn. Meticulously crafted and attuned to the finest gradations of darkness and light, Coming Forth By Day is a naturalistic portrait two Egyptian women grappling with an absence of purpose. Hala Lofty's debut feature premiered at Seattle, Thessaloniki where it won a Special Mention, and Abu Dhabi, where it won the FIPRESCI Prize for Best Feature and the festival award for Best Director from the Arab World. In Tunis before the revolution, a strange rumor is in the air regarding a man on a motorbike, who rides around the city slashing the buttocks of women he considers incorrectly dressed. Ten years later, a young director hears that this man, the Challat (slasher), is set to be released from prison. She becomes intent on investigating the notorious Challat of Tunis, interviewing both the victims and a few suspects who seem to have disparate, if unequivocal, views on the urban legend. Filmed in a mockumentary style, Challat of Tunis is an sharp, satirical study of the attitudes regarding women in this newly democratic nation. Kaouther Ben Hania's second feature participated in Final Cut at Venice; premiered at Cannes ACID, Dubai and San Sebastián: and won the Trophees Francophones du Cinema for Best Director.